Law Day, held annually on May 1, is a national day set aside to celebrate the rule of law. This celebration underscores how law and the legal process contribute to the freedoms that all Americans share. 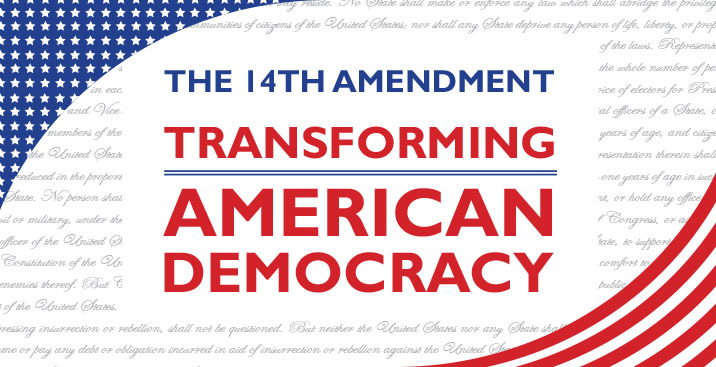 The 2017 Law Day theme "The Fourteenth Amendment: Transforming American Democracy" commemorates the important contribution this historic constitutional change made to our understanding of what it means to be an American and how closely liberty is tied to equality and justice. Through its Citizenship, Due Process and Equal Protection clauses, this transformative amendment advanced the rights of all Americans. On Thursday, April 27th, from 9:00 am to 1:00 pm, The Superior Court of Fulton County along with various justice and legal partners is sponsoring a field trip for 280 sixth, seventh, and eighth grade students from Fulton County to learn more about "What it Means to be an American Citizen". Our sponsors will also provide a free lunch to the students, teachers, and chaperones in attendance. The Law Day program will be hosted in the Assembly Hall, located in the Fulton County Government Center, at 141 Pryor Street, Atlanta, Georgia 30303. Law Day affords us the great opportunity to educate others about the historical significance of the Fourteenth Amendment and its relevance today. As we mark Law Day on this, the eve of the Fourteenth Amendment�s 150th anniversary, let us reflect upon the pivotal role it has played in protecting and advancing the rights of all Americans. Please join us in this celebration on Thursday, April 27th!